I love lemon flavored desserts. Most people tend to make them during the spring and summer, but I’ll enjoy a lemon dessert any time of the year. 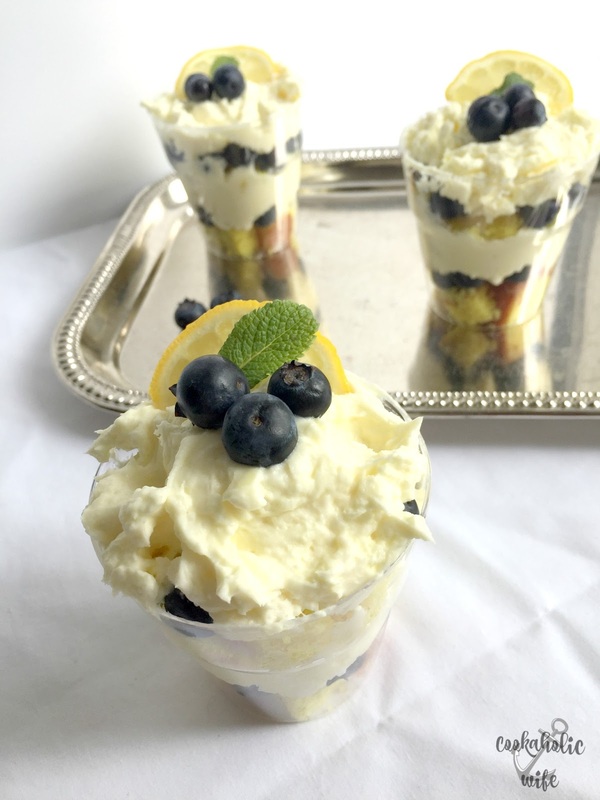 This is a perfect dish to whip up when you don’t have a lot of free time but really want to impress the lemon-lover in your life with a tasty dessert. The most time consuming part of this recipe is waiting for the cream cheese to soften, but after that, you can pull the recipe together in about 30 minutes. 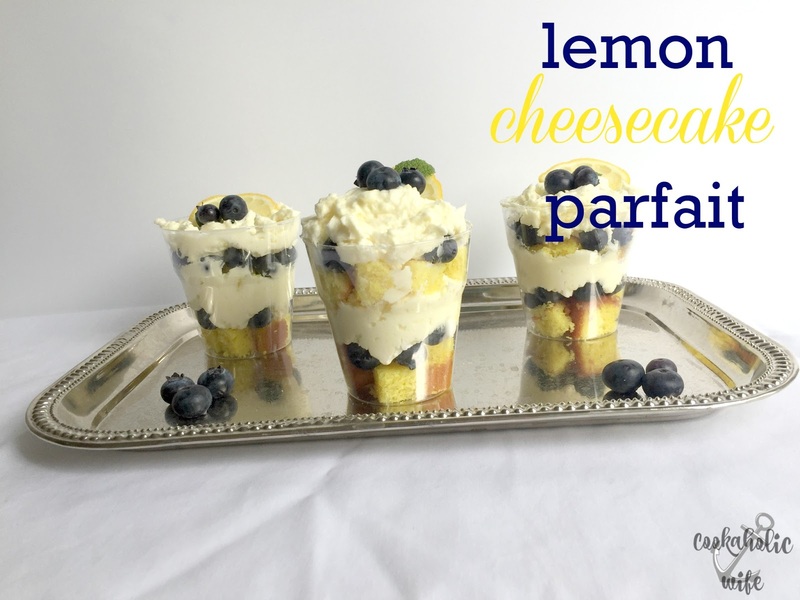 If you love lemon desserts you’ll go crazy for this Lemon Cheesecake Parfait. Pound cake is layered and topped with a lemon cheesecake filling. 1. In the bowl of your stand mixer add the heavy cream and beat on medium speed with the whisk attachment until soft peaks form. Add the powdered sugar and lemon extract and mix until combined, increasing the speed until stiff peaks form. Remove from bowl and set aside. 2. In the bowl of your stand mixer (same bowl can be used without cleaning it), add the cream cheese and granulated sugar and beat with the paddle attachment until light and fluffy. 3. Add the whipped cream, lemon pie filling and lemon zest to the mixer and beat on low speed until just combined. 4. Cut the pound cake into small squares. Place a couple of the squares into your serving container. Top with a few berries and then ⅓ to ½ cup of the cheesecake filling. 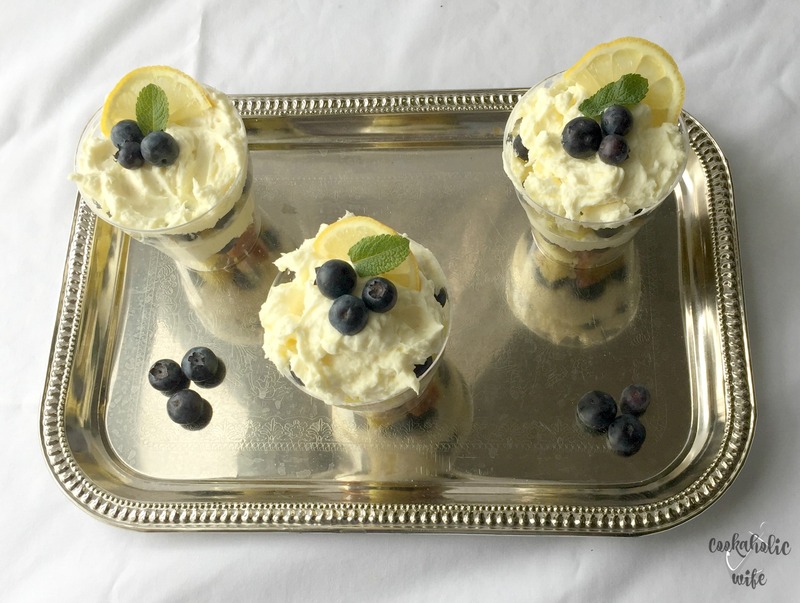 Repeat the layers again and top with a few berries, a mint leaf and lemon slice. 5. Repeat with remaining containers. 6. Refrigerate until ready to serve. 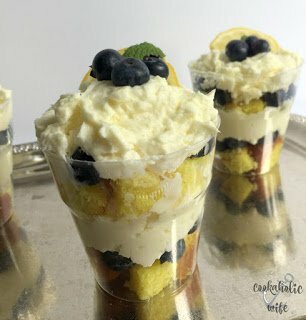 Cheesecake parfaits will keep in the fridge overnight if covered. I first made these for Easter and they were gobbled up so quickly I didn’t even get to enjoy one! When I made this again I made sure to hide one in the back of the fridge just for me to enjoy! 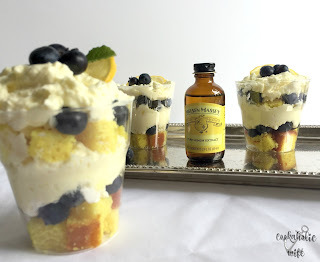 This dessert can be place in mason jars, large wine glasses or any dessert cup of your choice. I used 5 oz. plastic tumblers that I found on Amazon. These look delicious and perfect for a fancy brunch! Lemon & blueberry are a match made in heaven! 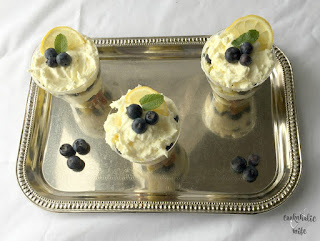 I love serving parfaits…they look so elegant and no one needs to know just how easy they are.